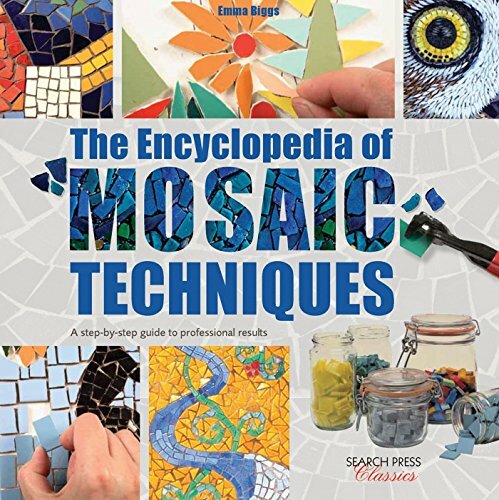 The Encyclopedia of Mosaic Techniques shares the ancient methods for creating decorative artwork with mosaic tiles. This visual directory helps you transform your pottery, furniture, walls, and floors with fabulous creative mosaics. Learn foolproof techniques for getting colours to work together to create dynamic designs. It needn't be expensive: find out how to work with improvised mosaic tiles, such as pebbles, coloured glass, and other found materials. If you have any questions about this product by Search Press UK, contact us by completing and submitting the form below. If you are looking for a specif part number, please include it with your message.